This 24mm WOTOFO Lush Plus RDA features dual posts with 4 wire holes for easy building, with step type wire holes design supporting multiple build types. Users will have more building options for different vaping needs. It has a 7.7mm deep juice well capacity as well to provide you with the largest juice well area possible. Together with the Derlin drip tip, peek insulator and Gold-plated contact pin, you will have an unforgettable vaping experience. 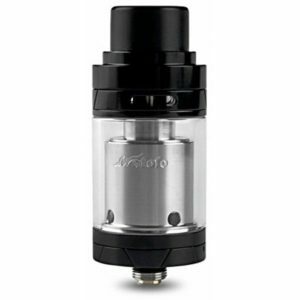 WOTOFO Sapor RTA 25 is a two post rebuildable tank with 3.5ml juice capacity. The adjustable airflow control brings large vapor production. Anti-Heating design drip tip and high quality stainless steel and glass construction provide you good vaping experience.